I claim that I don’t really like pie and that is the reason that I don’t frequently make them. It is partly a lie though: I don’t like store bought pie crusts (they are either too crusty and dry or too soggy and mushy) and I have a phobia of making my own. This obviously makes it difficult to make a good pies! So when Martha Stewart (oh how I love Martha – she may not be the best person but she is the Queen of the kitchen!) came out with a new cookbook (finally! I had been waiting, even guessing which would be next in the series!) for Pies & Tarts that matches her amazing cookbooks for Cookies & Cupcakes, I figured it was time to get over my fears and dive into the world of pastry dough. Thankfully the book came out not long before my birthday and my friend, that I frequently have exchanged Martha’s books with for gifts previous years, gave me a copy along with a pastry cutter! Now I really had no excuse. 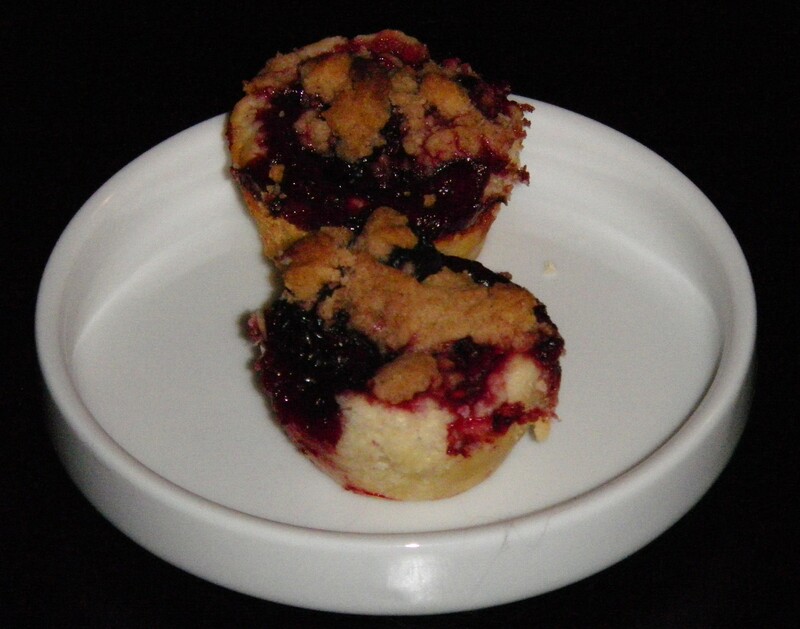 Even with Martha behind me, I started small: with Jumbleberry mini tarts. This was a sad excuse for a pie really as you don’t even have to roll out the dough or anything like that! 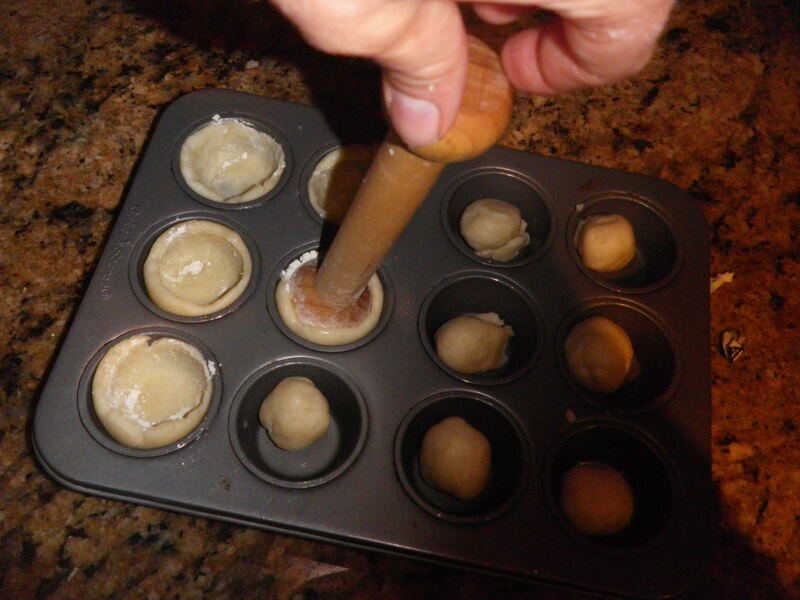 You take a small piece of dough and push it into the bottom and sides of a mini muffin pan. This can be a bit tricky but I have a mini tart shaper that makes it pretty easy! I should point out that I like mini tarts and I wasn’t just being a wimp! They are cute and fun and tasty! By the way, the dough has to sit for at least an hour in the fridge! And then another 30 min after they are formed into tarts. The tarts turned out pretty well. 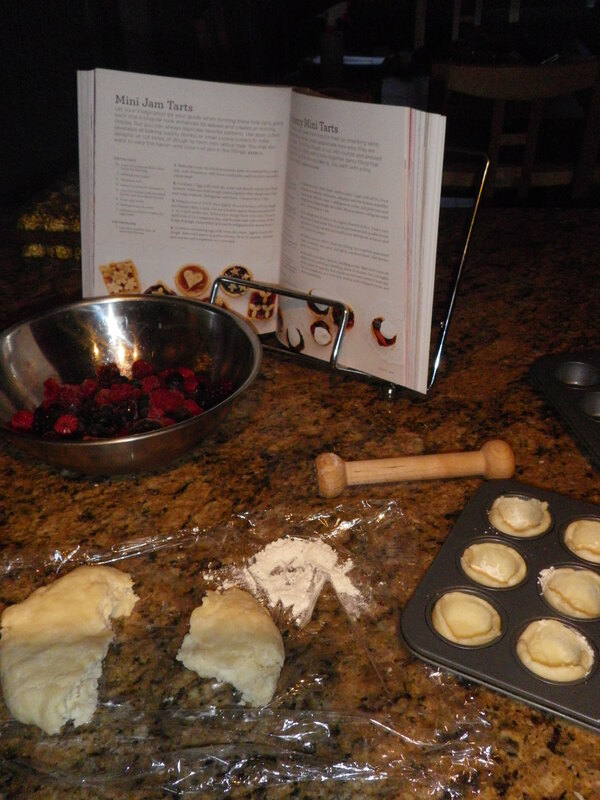 They weren’t my favourite and I think I overworked the pastry but they were cute and filled with berry goodness! 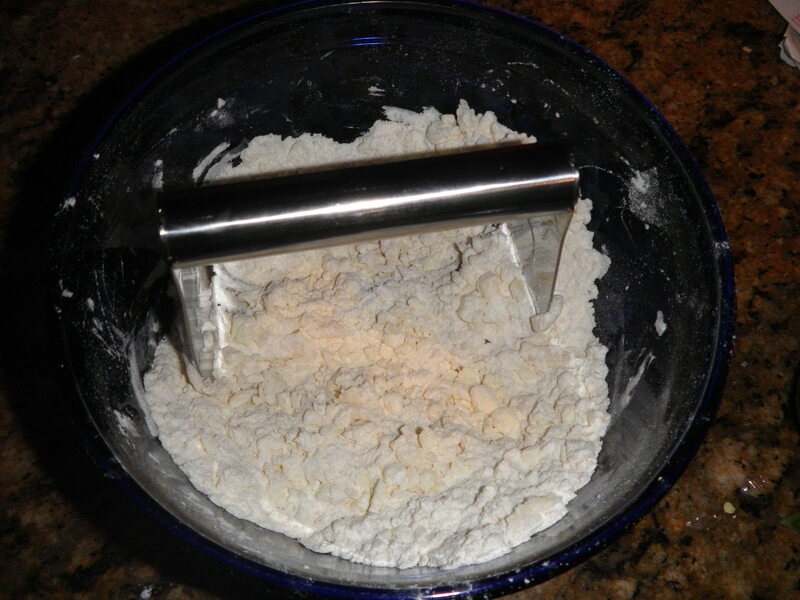 Make the crust: using a pastry cutter, mix butter into dry ingredients until the mixture resembles coarse meal. Add water a little at a time until dough forms. Shape dough into a disk and refridgerate until firm – 1 hour or overnight. Divide the dough so that you can get at least 24 pieces. Now you have two choices. You can either flatten each piece into 3-inch circles and press a round into the bottom and up the sides of your mini muffin pan. Or you can shove a small roundish piece into the pan and then use your shaper to get it up the sides and evenly on the bottom. Refridgerate or freeze until firm, about 30 minutes. Preheat oven to 400°F. Make the filling bu stirring together everything but the berries. Add the berries and gently stir to coat. 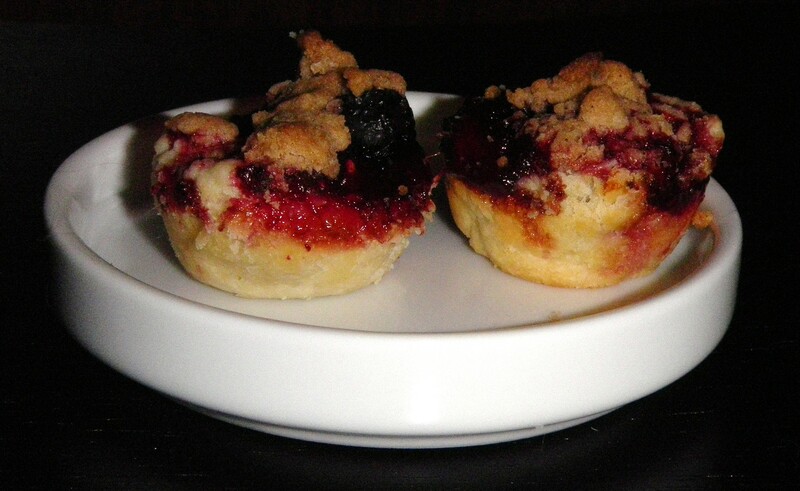 Fill the shells with the berry mixture ensuring that it is divided evenly. Spoon a little of the crumb topping over each. Bake until the crusts are golden and the berries are bubbling, about 25 minutes. Allow them to cool in the tins about 10 minutes before removing them carefully to a cooling rack. You are so awesome Becky. And not just ’cause you’re willing to jump into the world of pastry making. Unhinged I tell ya, you’re unhinged. Love it!